What is Purim Tish Hamshulesh? Very simply the GREATEST purim collection EVER! 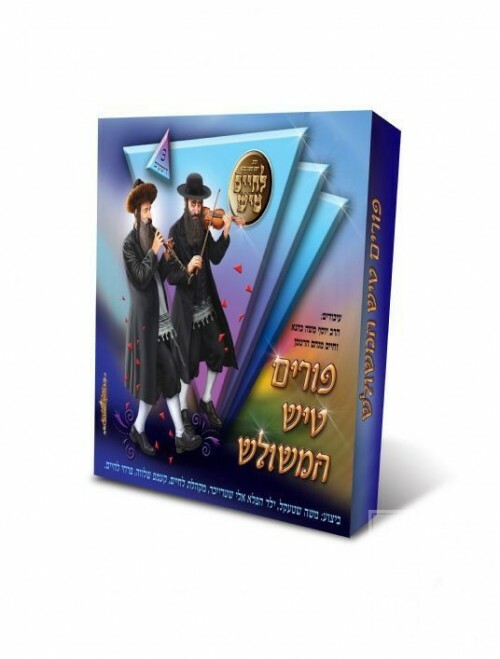 It’s a 3pk of the 3 WORLD FAMOUS Purim Tish CD’s. Starring the famous Lchaim choir and solos like Aron Haleivi and Eli Striecher and much more. This trio includes a collection of 100 Purim Songs from all the spectrum of Jewish Music!!! What better way to fill up 2 Adar’s. If you have never heard them before (like you live on the moon) we have just a small sample below which is sure to have you running to your local Judaica store. Distributed by Lchaim.